I always thought ADD and ADHD were just polite clinical labels for children who’d been cooped up indoors for too long and needed to go run around outside. Well, well, well, judgemental me was in for a surprise. I had no idea what a valid frustration attention span issues are for those who struggle with them every second of every day. Sadly, because of trauma, anxiety and just good ole’ post-Eden genetics, we have to get REAL creative if we want to be intentional about helping our kids focus. Of course all kids struggle to pay attention for longer than their interest lasts. But when it comes to nurturing the spiritual growth of my children I feel like the pressure to concentrate intensifies. Between spiritual warfare and unrealistic expectations of my two tiny disciples we’ve had a few trials laced with lots of errors that I thought I might share with you today. 1. Trying to do it perfectly. 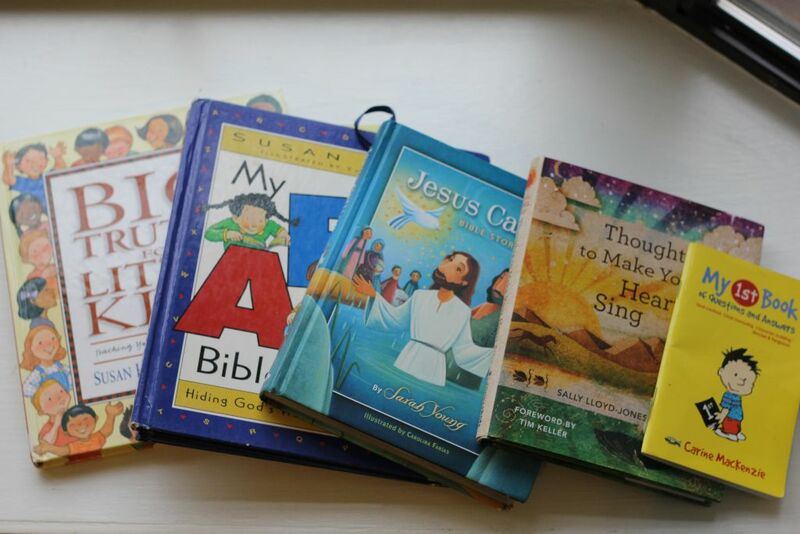 It may need to look less like idealized expectations and more like encouraging the kids to choose their favorite devotional book, letting them open it up to a random page (even though you want to go in order!!!!) and reading half a page. Something–especially something done with grace and joy vs. frustration and anger –even when that something is far from perfect–is better than nothing. 2. Trying to be spiritually intentional when they (or you) are hungry and/or tired. Can we all just label our kids hypoglycemic and move on with it? Snacks, people. 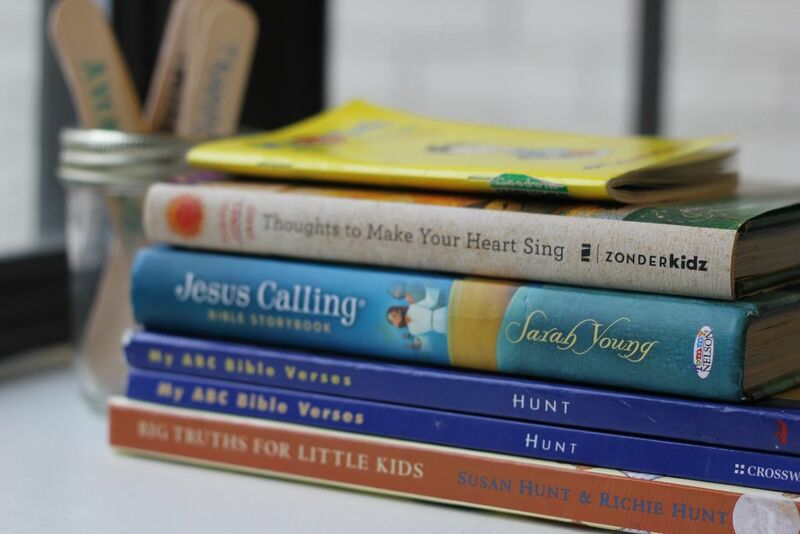 If you’ve been a mom for 5 minutes you know that the key to getting your small humans to sit still and listen while you read, pray, sing or illustrate a concept is SNACKS. Keep the Goldfish and Go-Go Squeeze’s coming. And may I remind you, as I remind myself, that sometimes the godliest thing you can do is tuck everyone in bed, sing “Amazing Grace” and call it a day. God is never not working and even mom fails, ESPECIALLY MOM FAILS, are covered by the blood of Christ. Praise hands. How easy is it to forget that we are waging war for the children’s souls? In the thick of the homework battle or in the heat of the awkward moment when I hear myself yelling, “STOP SPEAKING HARSHLY!! DON’T YOU KNOW THAT A GENTLE ANSWER TURNS AWAY WRATH!?!!!!?!!! !” Oh my. Yes, I’m so quick forget that Satan would love to make me an enemy of rather than an advocate for my child. I forget to moment-by-moment breathe prayers to God begging for the power to parent and disciple my children. I forget to ask Him to supernaturally develop the fruits of the Spirit in me and a spiritual hunger in them. I forget that we don’t fight against against flesh or blood, play dates or preschool drama. Let us not forget, ya’ll. Me having figured this whole ministry of motherhood thing out? This is not that.God using feeble attempts to shepherd little hearts toward Himself? I pray this is that and that it is an encouragement to make graceful growth happen in our homes today. 1. Charades-You’ve never seen my children more enraptured by learning a spiritual concept than when we need to make an abstract idea tangible. This typically happens at the breakfast table when we are most alert and energized and when they are a captive scrambled-egg-eating audience. What is repentance the precious 5 year-old may ask? Well, at this point she is just asking to get me to run the length of our house yelling and telling the kids that, “I am running toward sin! I am running toward the sin! I really want to do it, but WAIT! The Holy Spirit reminds me of God’s love, and I turn around and run right back to Him! What is repentance? Turning away from sin and running back to God!” I act A FOOL, but it means they TOTALLY get it. What is mercy? Grace? So I tell the story of a mentor assigning a Bible verse to our small group to memorize and giving one push-up for every word missed. Then, I tell them of our group returning the following week hardly getting a word right and how she took all our push-ups FOR US and even giving us a reward as a demonstration of God’s mercy and grace. 2. Children’s Catechism-Have you ever seen or used “My 1st Book of Questions and Answers” by Carine Mackenzie? A former student recommended it after growing up using this series to learn key components of the Christian faith. My kids ADORE our lively question and answer time. Sometimes I pull a Dave Calvert and put out a pile of pocket change or gummies for each question they answer correctly. Other times we work through a new section to earn a family game night or just to pass time in a fun way. They eat this up and actually seem to assimilate the concepts. 3. Captive Audience-I love reading Scripture, devotional books and having intentional conversation when they are captive. Breakfast typically works best for us. 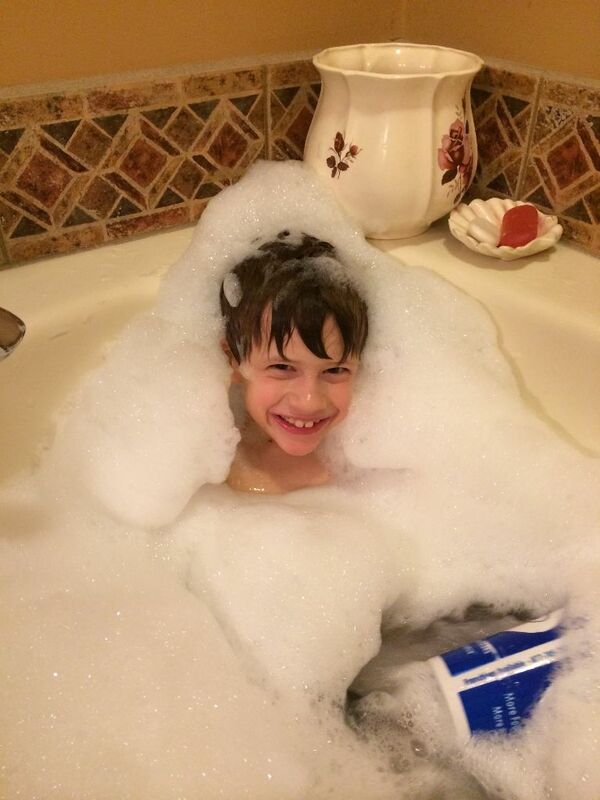 Or after a little play time, the bathtub is a great place to connect. The sensory play of water with a drop or two of lavender oil and my kids are honed in for a story, memory work or whatever. 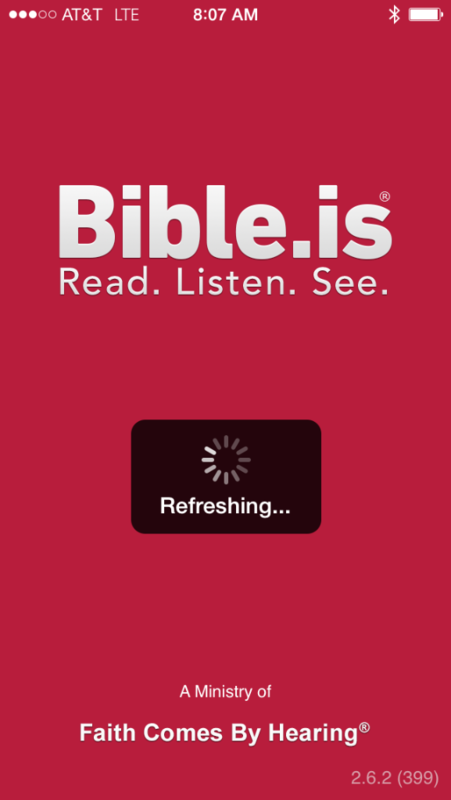 Also, I love this narrarated Audio Bible. We have a Bluetooth speaker and can pipe it in wherever we are or from our phones. 5. My A, B, C Bible Verses– We love this book. It’s covering the exact things our kids are in the thick of needing to work through. Friendship drama, honoring parents, lying, etc. Each letter of the alphabet has a corresponding verse to memorize. Right now it’s perfect for my 5 and 8 year old. 6. 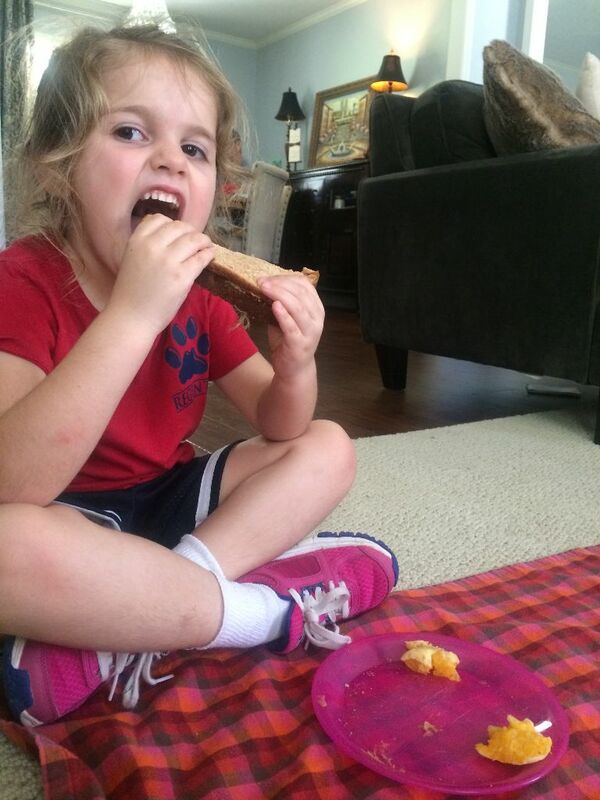 A Change of Scenery- Sometimes all it takes is handing the kids our picnic blanket and letting them choose a place in the yard to have a picnic snack or lunch and they are reawakened and reconnected to the day. My kids are totally different children outside. Throw in letting them dig around in the sand of our creek while I read or just let them play and talk to me; it opens up a whole new world of connectivity. And on rainy days picnicing somewhere abnormal around the house like mom and dad’s bed or the living room floor is fun to them and shakes things up a bit. (EG loves a good bathtub picnic and hey, just rinse the crumbs on down the drain!) My child will love me for this one day. 7. Jesus Calling Bible Storybook– Our go-to for a quick devotional thought that focuses on God’s big picture of redemption. It’s similar to our beloved Jesus StoryBook Bible, but more manageable for days when we are short on time. 8. Music Videos-Sunday mornings are our favorite time to ROCK OUT. My kids love The Rizers on YouTube. They are enamored by anything with a screen, so why not make it Scripture put to not-annoying-to-adults kids music? We also love Seeds Family Worship. Such great truth set to rich music. 9. Let Them Fiddle & Let Them Be Little- I recently posted a question on “The Read Aloud Revival” Facebook forum asking how to get kids to sit quietly while reading aloud. These sage mommas gave me the following amazing ideas: Let the children choose quiet activities like working puzzles, playing with fiddle toys, building Legos, coloring pages–even page that correspond with the book you’re reading, silly puddy, rainbow loom, 15 minutes of running outside before it’s time to listen and learn and letting them act out the story if they are particularly wiggly. Loved all those ideas. 10. Apps & DVDs- It seems I have a buzzer attached to my tush. One that sounds an alarm every time I sit down to read my Bible. EG literally finds me every time I am trying to get up early to read or help her get occupied so I can steal some alone time. This is when I bring out the big guns. You see hipster Jesus up there? Genuinely obsessed with him. And nothing but love for The Gospel Project which coordinates with our children’s ministry curriculum at church #forthewin! 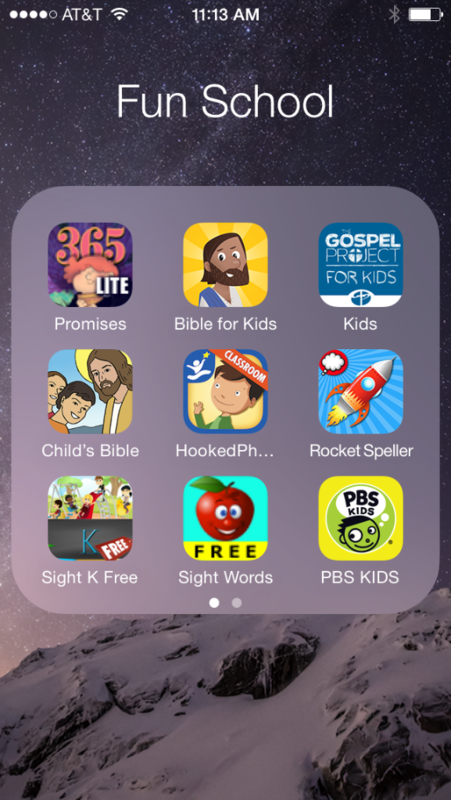 My kids can engage with these apps, grow spiritually and I can be with Jesus. Win to the win. I pray that and yet rest in knowing that I can parent and point to Jesus to the best of my ability and still not produce the fruit I crave. I am thankful that there is no silver bullet needed to bring about fully surrendered love for Jesus and that He can use short attention spans to result in long-term discipleship. Can you relate to any of this? What spiritual growth fails have you experienced yourself or with those you are trying to train and disciple? What wins could you share in the comment section? I’d love to learn from you! This is seriously a fabulous resource post! Thank you! We have done many of these things and there are several on here I’d love to incorporate–I love the bathtub idea. We do have great conversations, but sometimes I’m just busy cleaning the toilet or something while they play…:) Thanks for sharing!